Here are some alternative email footers for you to consider. Unfortunately, such statements fail to meet acceptable environmental marketing guidelines outlined by many Governments and advertising authorities because they are not backed by competent and reliable scientific evidence and imply, without evidence, that electronic communication always has less effect on the environment than printed materials. The claims also ignore the unique sustainable features of print on paper as well as the growing environmental footprint of our electronic infra-structure. Paper is made primarily from a natural, renewable resource (wood) and it is one of the most recycled commodities in the world. Over two thirds of the energy used to produce paper in North America comes from renewable biomass. 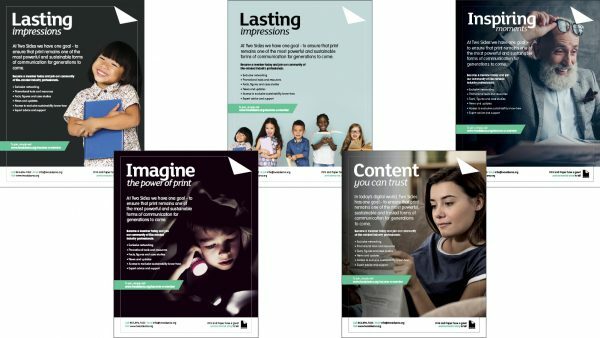 When produced and used responsibly, a majority of people believe that print and paper can be an environmentally sustainable way to communicate. Print on paper is renewable, recyclable and powerful. If you print, please recycle. Visit www.twosidesna.org for more information. 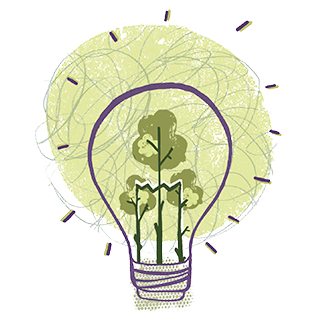 Responsibly produced print and paper can be a sustainable way to communicate. If you print, please recycle. Visit www.twosidesna.org for more information. Printed emails create a permanent and durable record but please ensure all paper is recycled. Visit www.twosidesna.org for more information. Responsibly produced paper has unique environmental features. It is highly recyclable and comes from a renewable resource. If you print, please recycle. Visit www.twosidesna.org for more information. 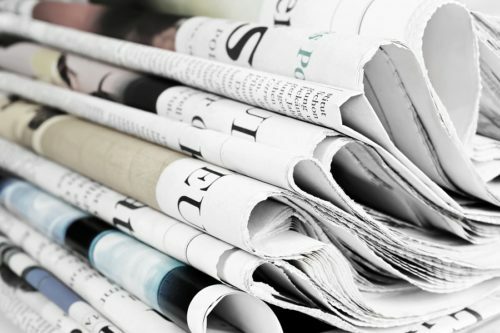 Print on paper is a practical, attractive, and sustainable communications medium. If you print, please recycle. Visit www.twosidesna.org for more information. In North America we grow many more trees than are harvested every year. Responsibly produced paper can be an environmentally sustainable way to communicate. If you print, please recycle. Visit www.twosidesna.org for more information. Paper production supports sustainable forest management in North America. The income landowners receive for trees grown on their land encourages them to maintain, renew and manage this valuable resource sustainably. If you print, please recycle. Visit www.twosidesna.org for more information. Paper production helps maintain our North American working forests. Thanks to sustainable forestry practices, we grow many more trees than are harvested every year. If you print, please recycle. Visit www.twosidesna.org for more information. Unlike many other products we use, responsibly produced paper comes from a natural renewable resource. North American working forests are good for the environment, providing clean air, clean water, wildlife habitat, and carbon storage. If you print, please recycle. Visit www.twosidesna.org for more information. Paper is one of the most recycled products in the world. It is also made from trees in sustainably managed North American forests – a natural and renewable resource. If you print, please recycle. Visit www.twosidesna.org for more information. Paper production supports sustainable forest management. If you print, please recycle. Visit www.twosidesna.org for more information. Paper production helps maintain working forests. 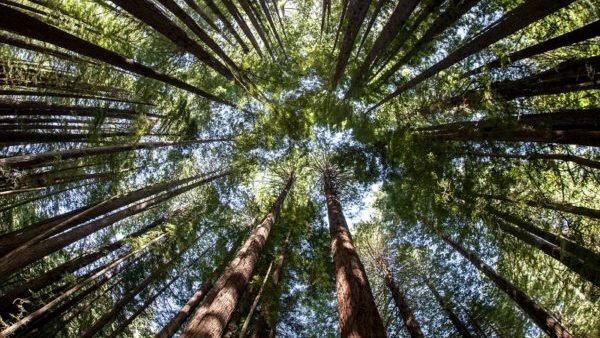 Thanks to sustainable forest management, the number of trees growing in the U.S. has increased by over 50% in the past 60 years. If you print, please recycle. Visit www.twosidesna.org for more information. Responsibly produced paper is one of the most recyclable, renewable and natural forms of communication. If you print, please recycle. Visit www.twosidesna.org for more information. Paper is based on a natural and renewable raw material – trees. Sustainably managed North American forests are good for the environment, providing clean air, clean water, wildlife habitat, and carbon storage. If you print, please recycle. Visit www.twosidesna.org for more information. 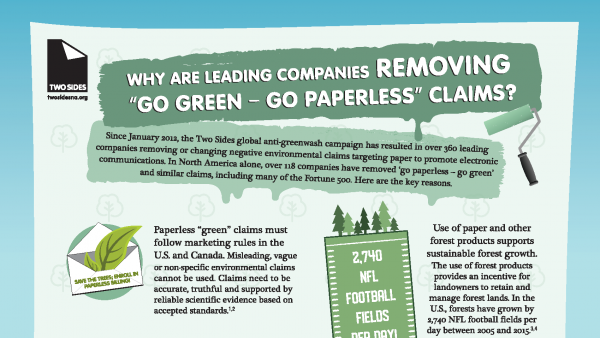 ·Why challenge anti-paper environmental claims?